A Ram Sam Sam – Boom, Boom Ain’t it Great to be Crazy is a song on the album by Countdown Kids with lots of silly lyrics that older kids will surely appreciate! R enjoyed the beat and had fun dancing along to the music. I cut a glow stick up and poured the contents into a mason jar. I added some of the plastic pieces of the glow stick so that the jar would make noise while R shook it. 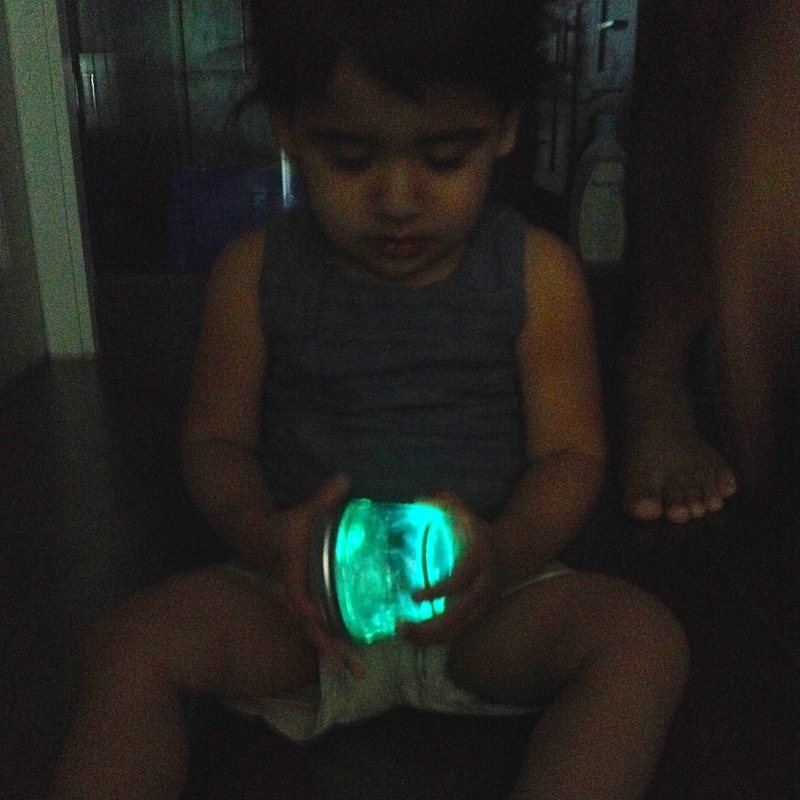 R was more interested in trying to open the jar than checking out it’s glowing properties. My husband and I had fun with it, though! I put the two powders right into the bottles and shook the bottles to mix. I mixed the liquid water colour into the water before adding it to the powders in the bottle. Once all the ingredients are added to the bottles, shake throughly to ensure incorporation of the powders with the water. 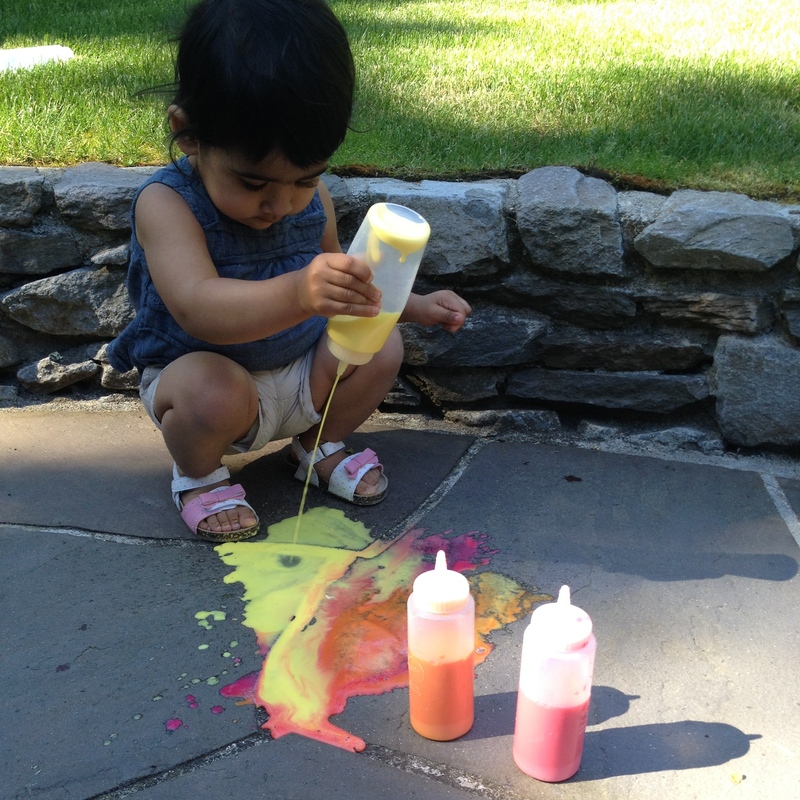 After R emptied the erupting paint bottles onto our stone path, she had some squealing fun when she watched the paint “erupt” as the vinegar was poured on. a. 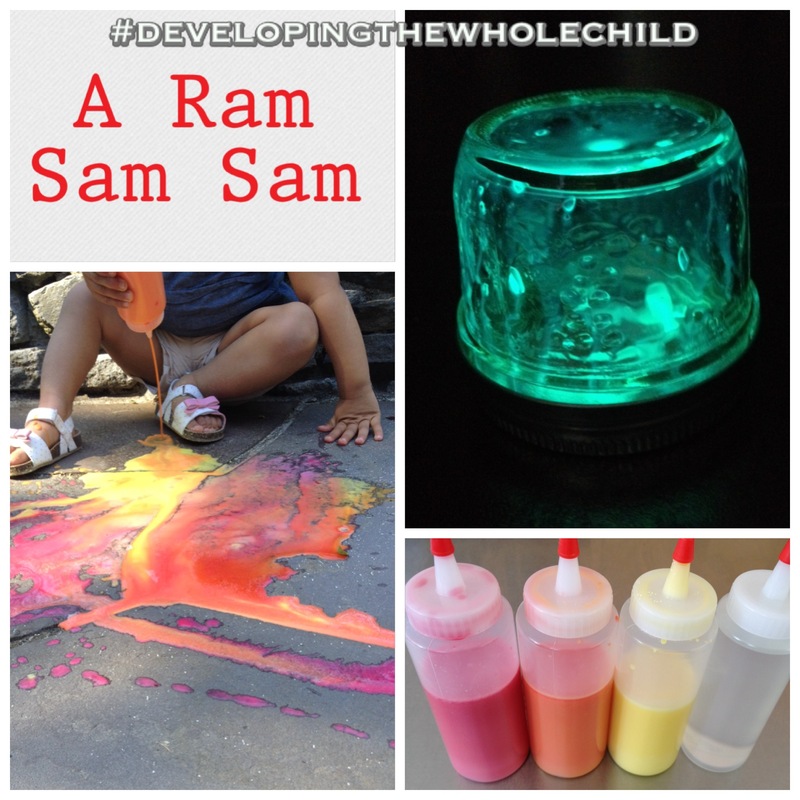 Learn about colour mixing with the activity. As one colour is poured onto another, the colours blend beautifully. The vinegar eruptions help the colours mix even further. b. With older children, discuss the science behind the eruptions. About.com has a great description of the reaction!